I’m desperately trying to get back on a healthy, low calorie meal plan (I refuse to say diet), but it’s hard. Food is so, so, so good! I tried eating salads for lunch at work for a week and got terribly bored. I’d end up eating something not so good for me because I hated my lunch. Why am I doing this? I know how to make good food that won’t blow up my calorie bank! Instead of turning eating into an unpleasant experience, it’s time to get back to what I know. Healthy, low calorie food doesn’t have to taste bad or be boring. 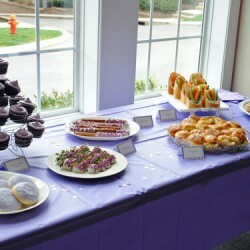 I’ve got an entire category devoted to Low Calorie, including desserts! So let’s build on that, shall we! I love burgers. All makes and models, all kinds of toppings. They can be a real gut buster though. No need to deny yourself one. Make it healthy and delicious. 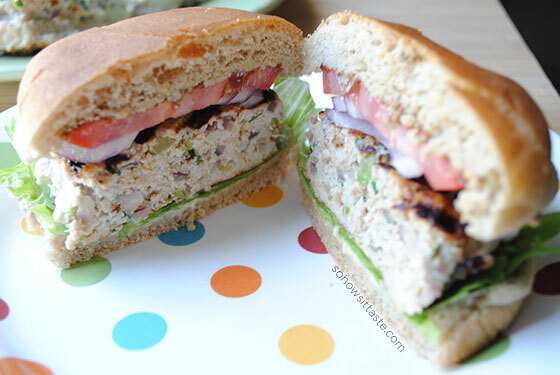 These Garden Turkey Burgers really surprised me. They were so full of unique flavors that I didn’t even use cheese. I didn’t want to mask the flavor of my seasonings and those veggies! I really was expecting just your average turkey burger. 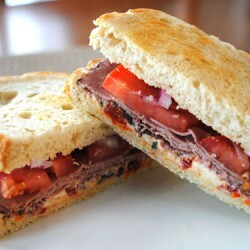 Who wants to get excited about eating low calorie if it’s just another tasteless sub for beef? I give you permission to get excited now! First, the burger is huge. 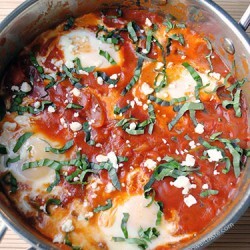 You won’t starve eating this for dinner. I love the color of the green bell pepper mixed with the purple from the onion. I’ve recently come to love bell peppers and they are fantastic tucked inside this burger. There’s also watercress, which packs some serious health goodness. Now we all know turkey is kind of plain on its own and needs a little nudge in the flavor department. The trick here is not only the veggies, but just a bit of teriyaki sauce and jerk seasoning. It really livens up each bite. I could smell the teriyaki as the burgers were grilling and it was fantastic. You can add more jerk seasoning to amp up the heat value, too. It’s a little sweet and a little spicy. To build my burger, I used low-fat mayo, whole grain garlic mustard, lettuce, tomato, and more red onion. No cheese needed here! See you can eat low calorie and have your burger, too! 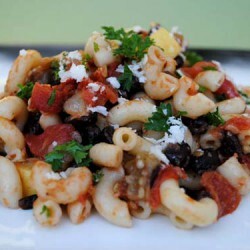 This recipe comes from The Juan-Carlos Cruz Calorie Countdown Cookbook . I bought this book several years ago because it has meal plans according to what calorie level you’re eating. I’m a sucker for meal plans. Once you get down to it though, the recipes aren’t of that much interest to me. He’s got a winner in the Chilaquiles, which I posted back in 2010 and have made a bajillion times. 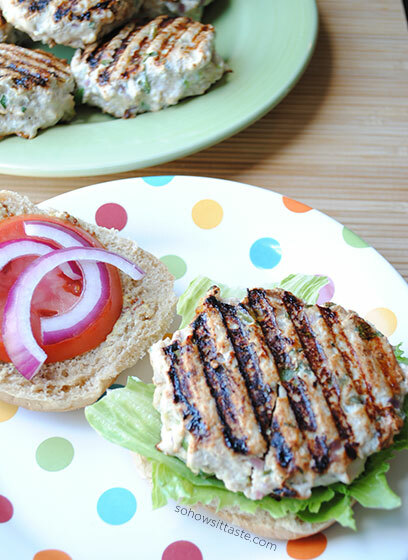 I found it hard to find another recipe that I really wanted to make until I saw the turkey burgers. I think this cookbook has been on my shelf for long enough and it’s time for someone else to enjoy it. See, this cooking from every cookbook I own is paying off already! 1. In a large bowl, combine the turkey, red onion, bell pepper, egg white, watercress, teriyaki sauce, jerk seasoning, salt, and pepper. Stir until well blended, but don't over mix. Form into 6 equal patties. 2. Heat a nonstick griddle/grill or skillet or medium-high heat and spray lightly with cooking spray. Place each patty on the grill, in batches if necessary, and cook for 3 to 5 minutes on each side, until burgers are no longer pink in the center. 3. Remove burgers from heat. Spread the bottom half of each bun with mayonnaise and place burger on top. Top the burger with a slice of tomato and the remaining bun. 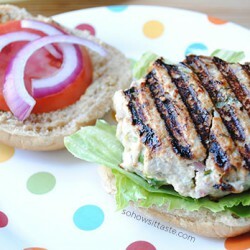 Love turkey burgers!! Would like to make these, but wondered if I could sub spinach for the watercress? Sounds good to me, but don’t want to ruin them! Thank you!! Yes, you can! or just leave the watercress out completely. Enjoy! This recipe looks like it’s more than enough to convince me to give the ole turkey burger another go. When I used to make them, I couldn’t figure out how to keep them from drying out. Ugh. Love the spicy spin with watercress! Would’ve never thought to add that into the actual burger patty. 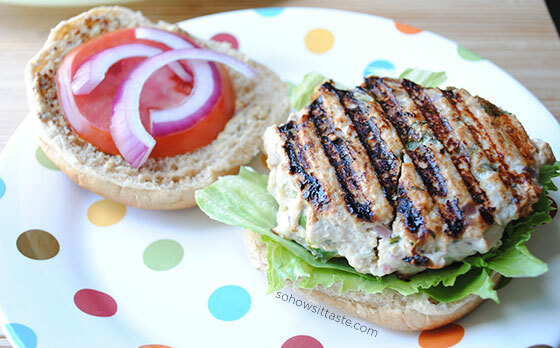 Turkey burgers are my favorite, but you are right you have to add lots of seasoning to them or they just end up boring. These look so yummy and like the largest burgers I’ve ever seen lol! Just wanted to let you know Wikipedia says: In nutrition, diet is the sum of food consumed by a person or other organism. Dietary habits are the habitual decisions an individual or culture makes when choosing what foods to eat; I.E. My diet consists of lots of fruits and veggies, small proteins and carbs (and lots of sweets) – I try to make it a habit to eat healthier food choices first. With all that know that you can say ‘diet’ as in ‘my diet of good choices’, rather than ‘dieting’. Done ranting, just wanted to say yummmmmmyyyy for this burger. Not sure if you ever shop at Aldi’s but they have amazing mini peppers for a bargain (I think 16oz for 2.50). These burgers look sooo delicious! I could totally go for one for a late lunch right now!